SVE has the proven expertise to assess all of your electrical vehicle needs – then give you honest, workable solutions to fit your needs and lifestyle. We routinely install Level 2 (240V) EV charging stations capable of restoring a fully-depleted EV in as little as 4 hours. We’ll also educate you on the best portable charging stations. Remember; we are licensed and insured to bring you both professional work and peace-of-mind. 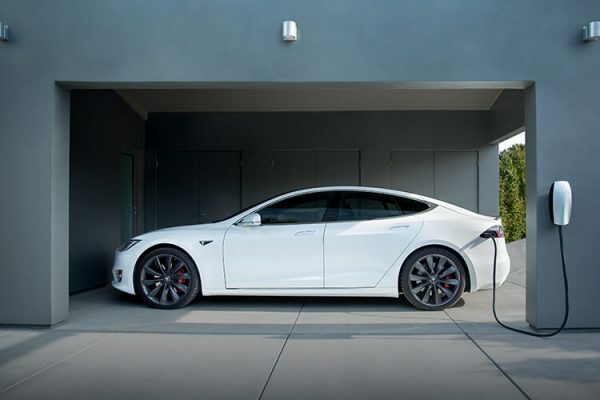 So you’ve bought an electric vehicle (EV) and want to recharge it faster than the 8-12 hours that the Level 1 (120V) EV charger your dealer provided requires? No problem! Southern View Energy, in addition to helping clients chose among the many solar electric power solutions for their home or business, routinely installs Level 2 (240V) EV charging stations. Capable of restoring a fully-depleted EV to “Full” in half that time (just 4-6 hours) you’ll rarely have to worry about a quick turnaround with your EV. If you’d like, we can even install your new Level 2 charging station as a “portable” unit that you can take along on trips, too. While you’ll need to have a dedicated, 240V (electric stove or dyer-type) outlet available wherever you plan to go with it, we believe it’s a very smart option to have that doesn’t add much to the installation cost. Buying Electric Vehicle Supply Equipment (ESVE) such as a Level 2 charger might appear easy when shopping around the internet, with over a dozen manufacturers and a variety of types. Many EV dealers offer a Level 2 charger and installation for one price (with exceptions), but their costs can be challenging. By choosing a licensed & insured electrical professional such as Southern View Energy, you’ll be delivered an unbiased opinion and an efficient installation without the sales pressure. Most importantly we’ll be able to assess if your existing electrical service can accommodate the addition of a Level 2 charger, and advise you on the different mounting, location and cable management options. We also take great pride in our skill, and will be there for you long after the work’s done! You’ve clearly thought about the environmental benefits of your EV and we support your choice. But have you considered adding solar electricity to your energy mix? While over 98% of our utility-supplied electricity is still being produced with coal, natural gas, nuclear and hydro, tying your EV use to locally-produced, clean solar energy is truly a natural. By installing even a small solar electric system on your home or business the entire structure benefits from its generation, whether or not the EV charger is “tapping” it during the day. And the beauty of having a grid-tied solar installation is that whenever you over-produce (make more solar energy than the home is capable of using at the time), that extra energy is sent up to the grid — and you receive utility credit for it. So when you’re home later (perhaps recharging your EV), the cost of the energy supplied by the utility is being offset with the solar energy credit you earned during the day. Now you’ve done far more than reduce carbon emissions with your EV, you’ve added solar energy to its recharging! If you have already purchased your EV, having a Level 2 home charging station is a great way to realize the full benefits of it. Please contact us for more information about a Level 2 charger installation or solar power for your home.